PROCELL MICRONEEDLING is a Health Canada approved device. ProCell Therapies microneedling/stamping treatment is a unique design that creates clean, evenly distributed microscopic perforations to induce maximum collagen production. Microneedling creates hundreds of thousands of micro-channels in the skin, stimulating keratinocytes that trigger fibroblasts to enhance natural collagen production. 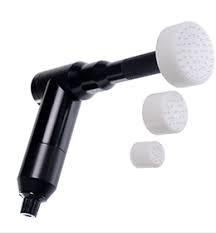 A single use multi-pronged stainless steel needle head penetrates the skin in a safe and hygienic manner. The ProCell microneedling machine has multiple speeds of up to 6,000 RPM and a great advantage of this device is the needles penetrates straight in and straight out and therefore will not cause any pulling, tearing, scratching or stretching of your skin. ProCell Therapies Microneedling is unique, it uses a potent growth factor serum that is derived from human adult bone marrow stem cells, which is a catalyst for collagen growth and is also a natural anti-inflammatory. The stem cell serum is quite effective on its own, but when combined with microneedling it yields even more dramatic results. Microneedling without the stem cell serum is like exercising without dieting, results with microchanneling alone will be good only & great with the serum. Clinical studies show with the stem cell serum the results are 4 times more effective. The Stem Cells serum floods the microchannels to aid in wound healing as well as stimulation and synthesis of fibroblasts (wound healing & structural framework of cells/tissue). The target is the surface of the skin and textural skin conditions. Microneedling + Stem Cells are intended to stimulate the skin to induce your own natural collagen induction, improving acne scars, wrinkles, fine lines, skin tightness, mild rosacea, increased micro-circulation, skin plumping/thickening, improved intracellular communication, crepey skin, certain hyperpigmentation & healthier overall skin. There is a clinically significant improvement of the skin when a series of treatments are done. It is recommended to have a minimum of 3 sessions and optimally 6 for the most beneficial results initially then, maintenance treatments can be done yearly or as needed. Microneedling is a minimally invasive resurfacing treatment. There is no heat or thermal damage and therefore any downtime is short lived and scarless wound healing. The recovery depends on the individual’s skin sensitively, skin thickness, depth of needles used and how many passes are applied. There can be very mild to moderate pin-point bleeding during the treatment or none at all. Immediately after the skin appears to have mild-moderate flush, it's common to feel like a mild sunburn and within a few hours the skin may become more pink/red. More sensitive individuals experience mild puffy skin that significantly reduces overnight. The following day the skin may be slightly flushed looking, and in some cases the brown pigmentation may look slightly patchy that could last 12 to 48 hours. The microchannels close up within a few hours after the treatment. Within a few days after the treatment the skin will create tiny micro scabs which feels a bit dry/rough. As the skin naturally exfoliates it will shed the rough skin and you'll be left with healthier skin. Dry skin/roughness can last 3-7 days on average. Collagenesis from the microdeeling treatment continues to improve as far as three months after each treatment. Makeup can be applied the next day however, I recommend to avoid face makeup if possible the following day and just keep it hydrated. Home care instructions will be thoroughly discussed with you during your treatment. Generally, treatments are scheduled 2 - 4 weeks apart, depending on depth of treatment. There is no limit to the number of treatments that one can receive as long as adequate time passes in between treatments. Individuals who should not have microneedling include: pregnancy, keloids, history of facial eczema, psoriasis, active skin infections, open wounds/cuts, if you have taken Accutane in the past 6 months. Furthermore immunosuppression (Lupus, HIV,etc). Please note: Medical Grade Microneedling penetrates the skin at greater depth than at-home needling devices. Only qualified health professionals should operate this procedure with depth over 0.5mm.